Sulawesi is an amazing place, buzzing with different cultures, steeped in rich history, and teeming with incredible natural beauty – and with Daud at your side, you’ll see the best this astonishing island has to offer. As well as the attractions listed below, Daud has extensive experience working as a guide in the heavenly Togian Islands, and can also offer city tours of Makassar. Drop Daud a line using the Contact page and he’ll help you with planning and logistics. 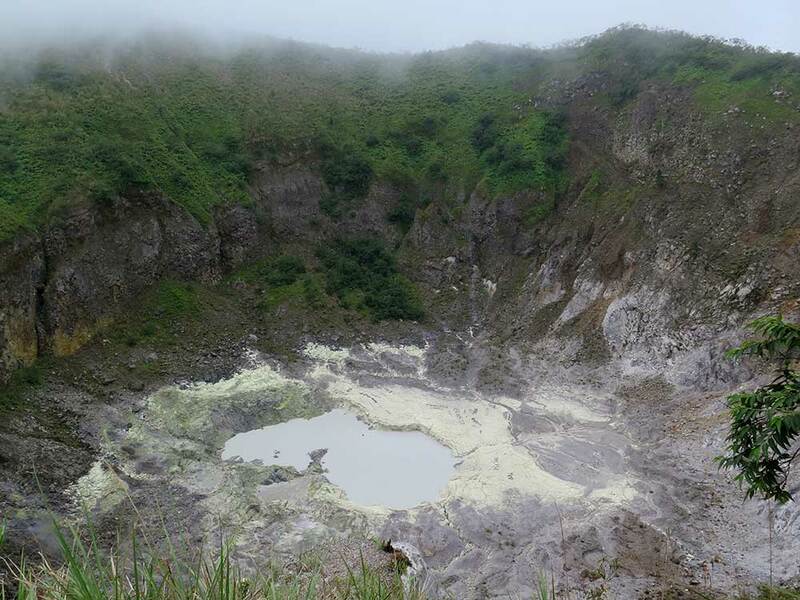 Located 10km south of Manado, Lokon is one of the most active volcanoes in the region – and as it’s constantly rumbling and grumbling, Lokon is a thrilling and unpredictable place to visit. For the ultimate Lokon experience, it’s best to start hiking from the base around 4.30am, so that you reach the summit at sunrise and experience dawn above the clouds. The hike is challenging and requires a reasonable level of fitness, and a willingness to get your hands dirty as you’ll need to scramble up some steep slopes. And if it’s raining, the smooth, petrified lava flows become treacherous, and you’re guaranteed to slip countless times as you inch your way back down the mountain! Daud can arrange comfortable accommodation near Lokon, and hikes in the company of experienced guides who know the mountain like the back of their hand, and regularly check with local officials to make sure it’s is safe to climb. 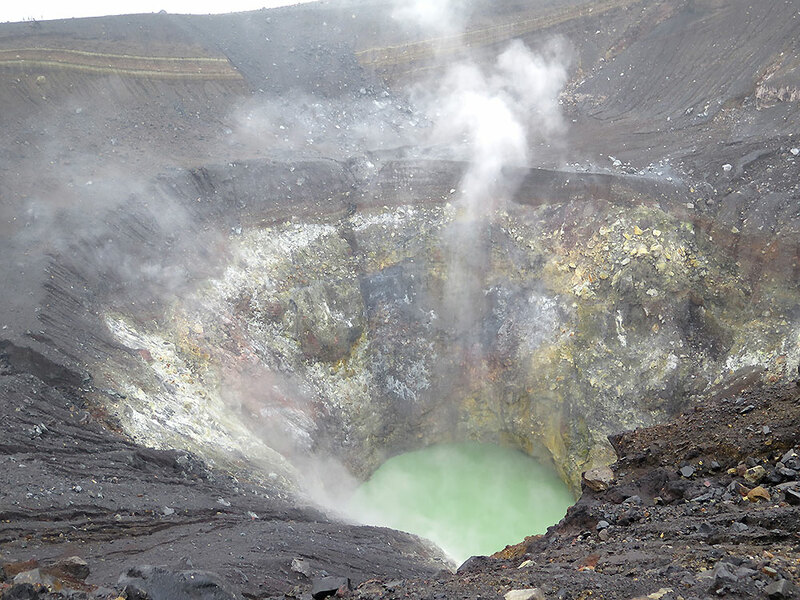 The active crater is an incredible sight – as are the vents along the rim that perpetually spew thick columns of smoke – but be sure you follow your guide’s advice at all times as Lokon can be a dangerous and unforgiving place. 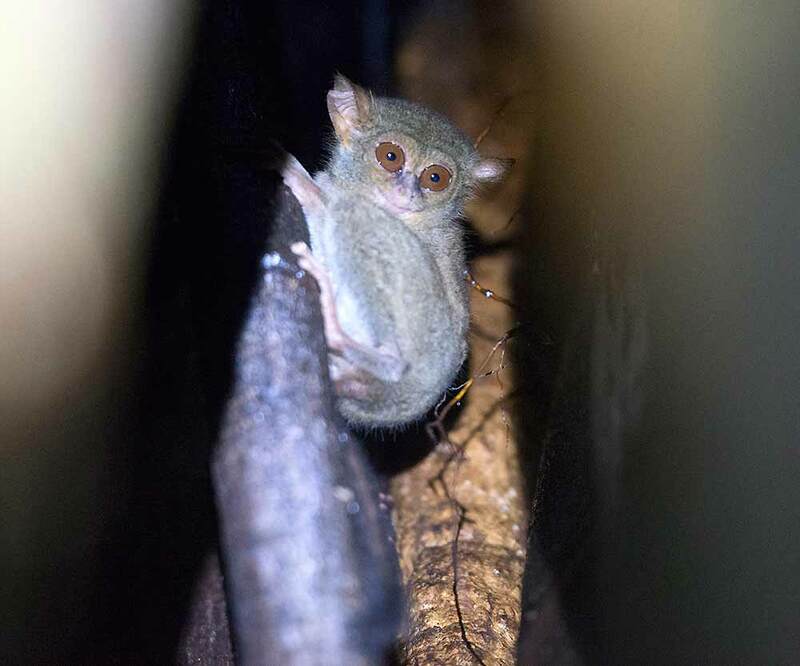 Not far from Manado, Tangkoko Batuangus Nature Reserve is heaven on earth for animal and nature lovers, where you can get close to rare and unusual animals such as endangered Celebes crested macaques, vipers, Sulawesi bear cuscuses, hornbills and elusive tarsiers. Daud can book comfortable accommodation on the fringes of the Reserve, and is well-acquainted with professional rangers who are experts in the forest’s flora and fauna, and who’ll do their best to make sure you see all the treasures Tangkoko Batuangus has to offer. 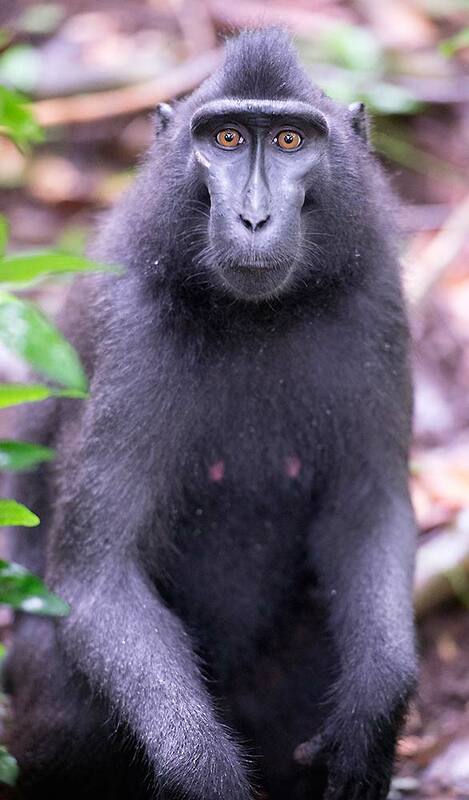 If you’re able to spend at least one full day at the Reserve, you can take a dawn hike into the forest to see a troop of crested macaques foraging for breakfast, then at dusk watch in awe as a family of tarsiers wakes up and begins its nocturnal hunt. 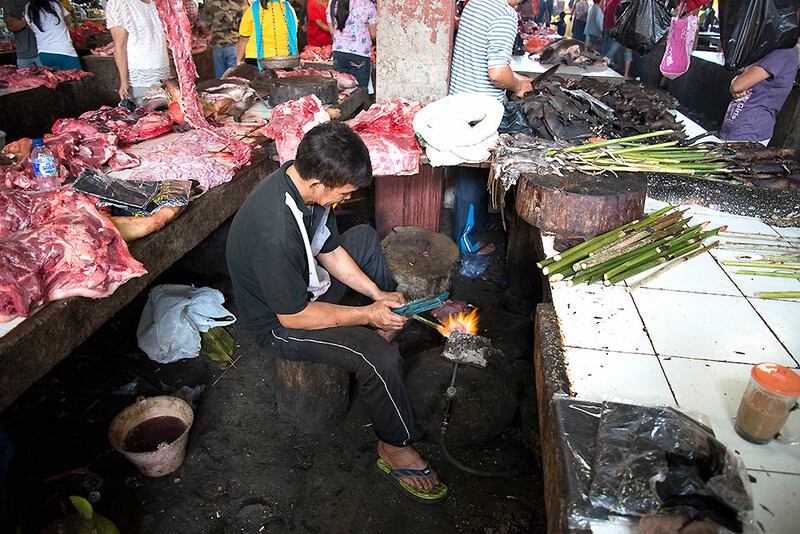 Nicknamed the ‘extreme market’, the meat section of the Saturday market in the quaint town of Tomohon has become notorious around the world, and isn’t a pleasant place to visit. But as an introduction to the unusual delicacies enjoyed by people in northern Sulawesi – and as a window into a world that is rapidly disappearing, as supermarkets and Western tastes displace local traditions – visiting the extreme market is a rewarding, if sometimes chilling, experience. 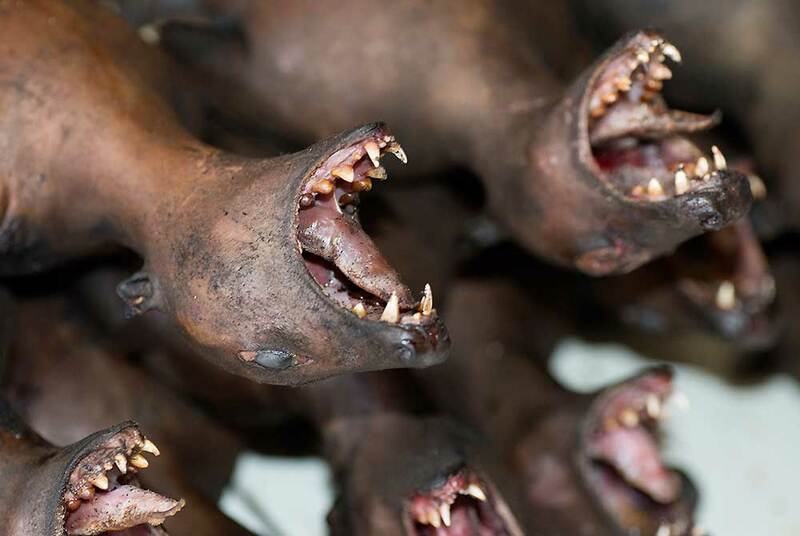 Visitors with a strong stomach will see a wide variety of meat for sale, including bats, forest rats, dogs and monitor lizards. However, the most gruesome sights are witnessed when the snake butchers come to town, and locals furiously barter to get the best cuts of enormous cobras and pythons. 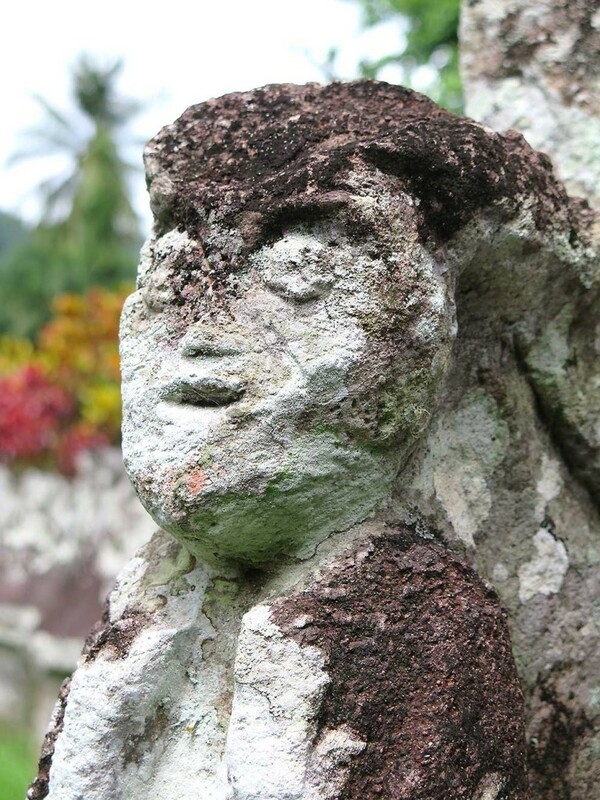 In the village of Sawangan, northern Sulawesi, you’ll encounter a stunning collection of stone sarcophagi, which are thought to date back to 900AD. These tombs, known locally as Waruga, are made from two parts – a hollow square into which bodies were interred in a foetal position, and a roof-like lid, onto which characters and icons were carved that represent the person inside. In the early 1800s, the Waruga were blamed by Dutch settlers for an outbreak of cholera, and the practice has long since been abandoned. 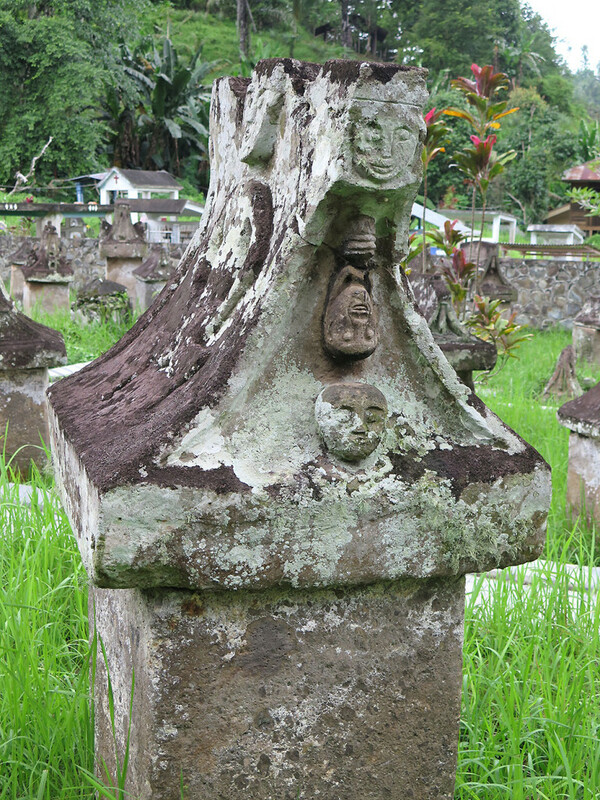 However, the preserved collection of nearly 150 Waruga near Sawangan is intriguing, and now features a museum where you can learn more about this unusual burial practice. 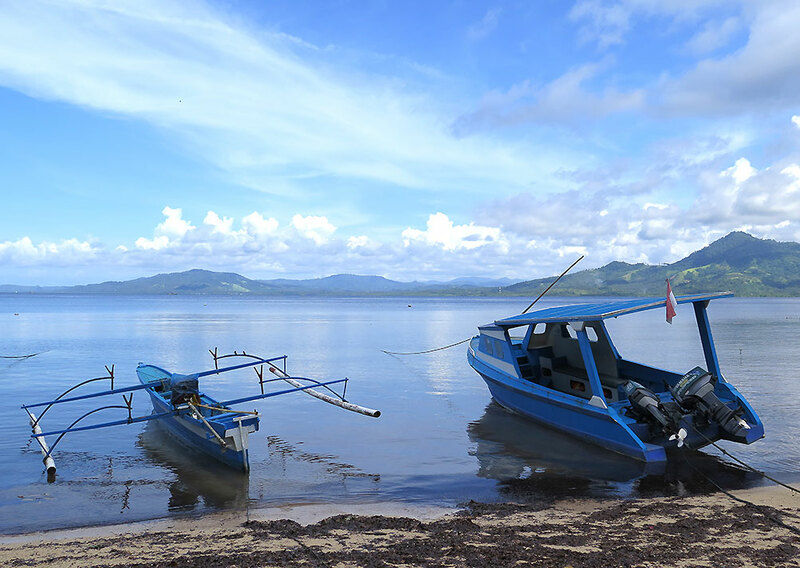 Daud can arrange transport to Sawangan, and it’s a great place to stop if you’re on your way from Tangkoko Batuangus Nature Reserve to visit Manado and Pulau Bunaken. Manado is the capital city of northern Sulawesi, and is the perfect jumping-off point for a trip to the luscious Pulau Bunaken. However, Manado has its own delights. The city is home to some of the biggest and most influential Christian churches in the province, and also features a major Chinese temple – Ban Hin Kiong – which is the focal point for annual Chinese new year celebrations. 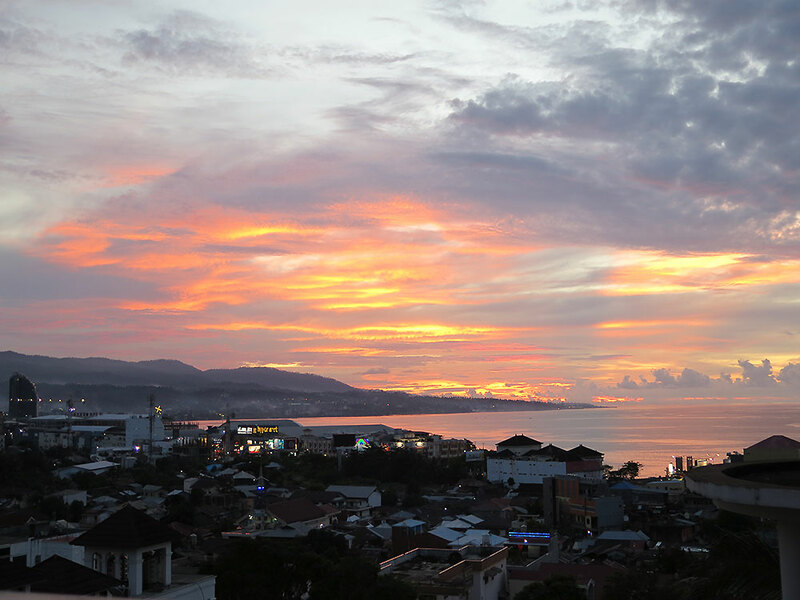 The bustling port area of the city is also fun to explore, and Daud is happy to take you on a whistle-stop tour of Manado’s greatest sights, and recommend comfortable accommodation in the most vibrant parts of the city. Pulau Bunaken is heaven on earth. A blissful series of islands that offer sublime snorkelling, relaxing beaches and friendly locals who welcome visitors with open arms, Pulau Bunaken is rapidly becoming one of Indonesia’s premier vacation spots, and is helping to make Sulawesi one of the world’s fastest-growing tourist destinations. 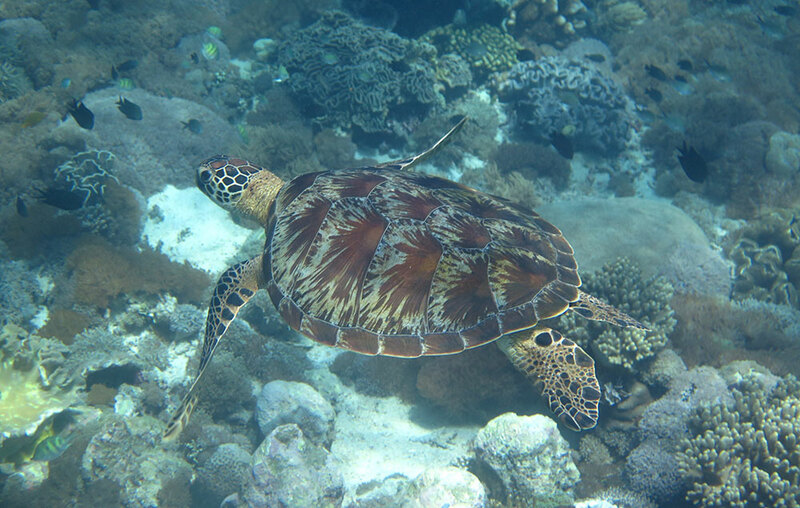 Daud has many contacts on Pulau Bunaken, and can book comfortable accommodation and diving trips that take you to the dramatic ocean drop-off point, where you’ll see an extraordinary range of fish – it’s estimated that some 70 per cent of all fish species that exist in the Indo-Western Pacific Ocean are found here. While Daud can’t guarantee what flamboyant sea-dwellers you’ll encounter, Pulau Bunaken is home to many unusual species such as dugongs, saltwater crocodiles, barracudas and reef-sharks. Located in a luscious mountain landscape near Tomohon that’s peppered with remote farmsteads and vegetable terraces, Mount Mahawu is less challenging to visit than Gunung Lokon – but it’s just as rewarding. From the car park, visitors climb a steep path for around 15 minutes, finally arriving at a viewing platform that allows you to see the active volcanic crater – complete with occasional geysers and thick jets of smoke – and also offers breathtaking views overlooking the Minahasa Peninsula, from the Pacific Ocean on the Bitung side to the Indian Ocean on the Manado side. 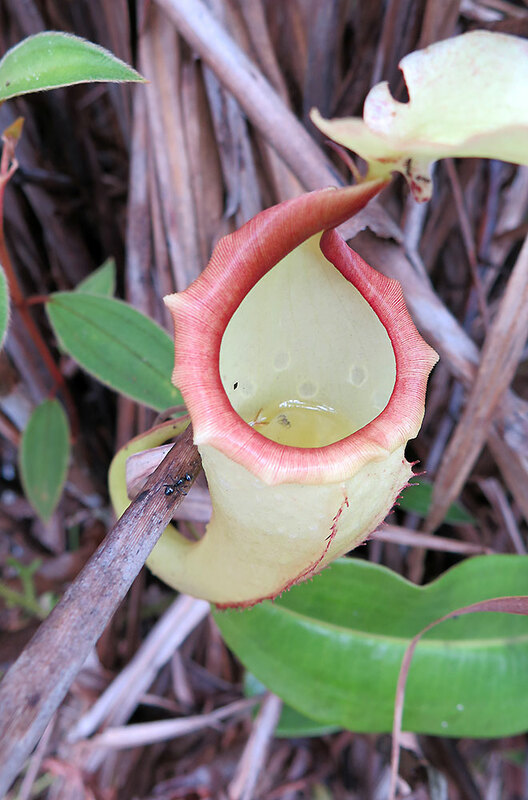 If the weather is good and you have time to walk around the crater rim, you’ll also see luscious vegetation, beautiful mountain flowers, and dozens of carnivorous pitcher plants that use pitfall traps to capture and digest hapless insects. 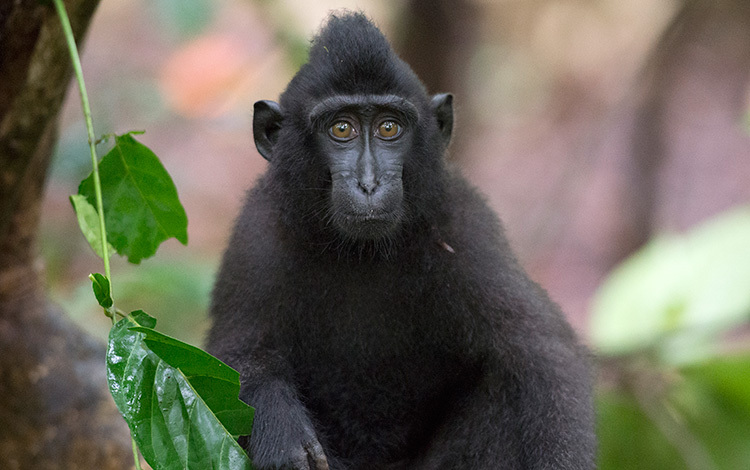 Contact Daud to find out more about booking tours around Sulawesi. Daud can also arrange tours of magical Tana Toraja, and around Indonesia.